Just a quick note to comment on something that just happened. 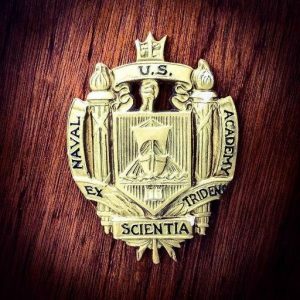 As you may know from my bio, I am a graduate of the US Naval Academy, Annapolis, Maryland. The Alumni Association has a periodical alumni magazine called Shipmate that tells what’s going on by class year, etc. I always read it looking for news on friends and classmates, seldom do I see my own name there. But this time, there I was. One of my classmates, Vince, wrote a short note to the class president and mentioned that I am doing some writing. Well, he said a little more than that. Then our President, Dave, went to my web site and added a few comments on his own based on what he read . . . all good ones. It was a little thing but it meant a lot. Writing, like many jobs, requires us to keep our heads down working. When not doing that, I’m also trying to figure out new twists or even looking for new ideas. It gets difficult some times when we get consumed with what we do and really not knowing how we are doing. That’s why comments from Vince and Dave give us a boost and make us feel better. We actually matter and people are interested. So, the lesson I take from this is that we all need to do a little more of what Vince and Dave did for me. You can put your friend’s names in your school’s alumni magazine . . . or you can write them a note saying how you admire what they do or that you are just interested in them and their welfare. It doesn’t take much. My thanks to Vince and Dave!